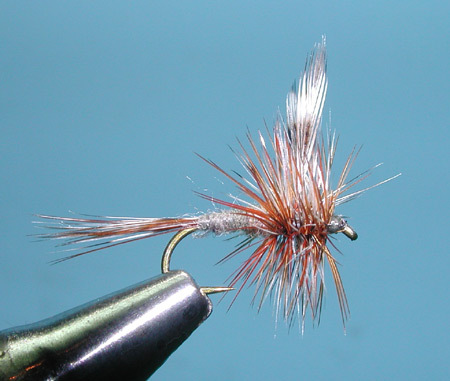 Notes: The Adams is considered to be an attractor pattern. 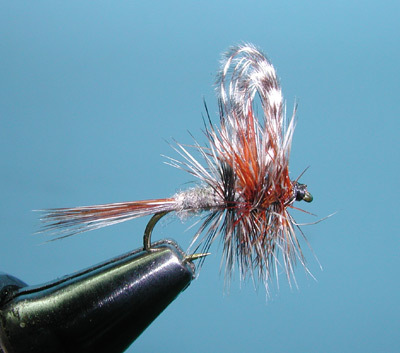 Although it was originally tied for a caddis imitation with a downwing, the wing subsequently became upright to represent many other insects such as mayflies, midge clusters, or a large midge. It is a particularly good Callibaetis in sizes 12-16. 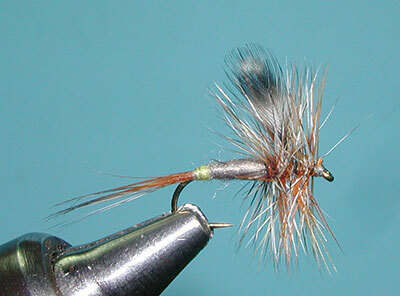 In sizes 16-20, it can represent many of the Baetis. 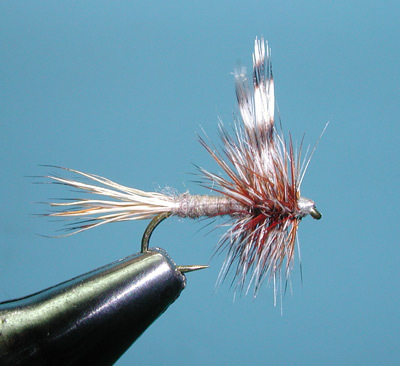 This fly has the distinction of having it's own plaque in Michigan which reads, "In 1922, ardent fly fisherman Leonard Halladay created the first Adams dry fly near his home on the banks of Mayfield pond. He named it in honor of his good friend, Judge Charles F. Adams, another enthusiastic angler who loved to fish for brook and brown trout in the nearby Boardman River. 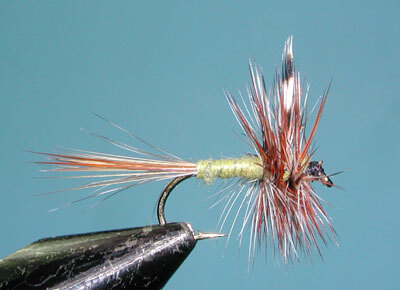 The Adams combines brown and grizzly hackle; many trout anglers claim it is the best fly ever made. 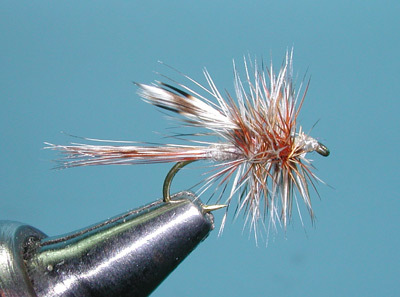 Some, in fact, declare that if they had to use only one fly for all of their trout fishing, it would be the Adams". Body: Grey wool or muskrat fur; grey wool egg sack.